More people are moving to Yuma than almost anywhere in the country. In fact, Yuma is the third fastest growing area in the United States. Situated in southwest Arizona on the banks of the Colorado River, Yuma is also a draw for tourists interested in history and a place in the sun. Yuma is rich in the history of the old West. Fort Yuma Soldiers, river men, railroaders, and the inmates of the infamous Yuma Territorial Prison made Yuma's history unforgettable. You can visit some of Yuma's heritage sites. Yuma Territorial Prison, on the banks of the Colorado, is a living museum of the Old West. Over 3,000 prisoners, convicted of crimes ranging from polygamy to murder, were imprisoned in rock and adobe cells during the prison's 33-year existence between 1876 and 1909. The cells, main gate and guard tower are still standing, providing visitors with a glimpse of convict life in the Southwest a century ago. Be sure and take a walk out to the prison cemetery for a sense of the harsh realities of of that prison life. The Yuma Crossing State Historic Park is worth a visit and a nice place for a picnic. The town of Yuma was established in this location because of the easy river crossing. The army had a quartermaster depot and the army buildings have been restored. Enjoy the large museum with indoor and outdoor exhibits. The museum is devoted to the local history. There is an old locomotive at the park. Just to the west of Yuma, in California, is an amazing dunes park owned by the BLM. The Imperial Sand Dunes are the largest mass of sand dunes in California. Numerous opportunities for off-highway vehicle (OHV) recreation exist in the El Centro Resource Area. From Google, here's a pretty good listing of available hotels and motels in the Yuma area. The Yuma Convention and Visitors Bureau has a great site listing information for visitors and for those considering a move to Yuma. Yuma, Arizona, just off the main drag, I-8, between LA and Phoenix, is certainly worth a stop. You will enjoy the sunshine, the history and the river running through Yuma. The territorial prison, and it's history is a real draw. 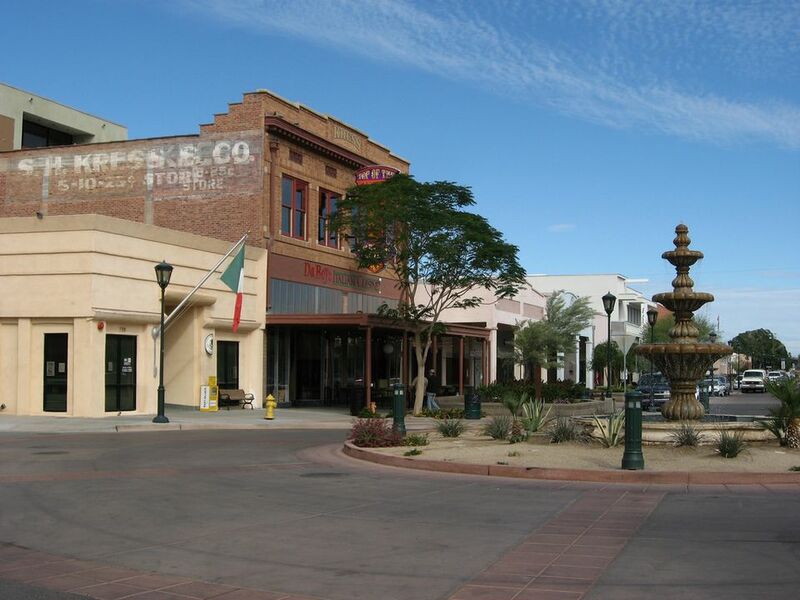 On a walking tour through Yuma we also enjoyed the downtown shopping area with some great little antique shops. Yuma is growing and it's worth a visit to find out exactly why.